JKM upholding the integrity of management, seek common ground while reserving differences, cooperate with each shareholder and achieve the maximization of common benefits. JKM embrace the principle that "Manage the company with future development plan, and make all efforts to achieve a better future" JKM regard People-oriented as the core of management, equality and mutual respect as the basic of management and meticulous management as the aim of the management. Administrative policy for quality, working environment and occupational health and safety: Participation, Quality assurance, Pollution prevention, Safety production, Energy saving and waste reduction, Environment optimization, Law-abiding, Continuous improvement and Customer satisfaction. Market View: Discern the industry trends, Lead the market with Technology, Explore the requirements, Creating market, Focus on differentiation and advantage, Occupy the market rapidly. 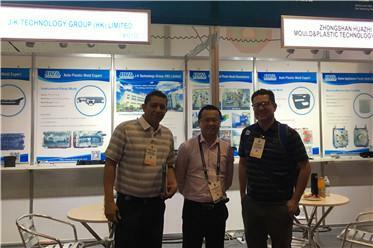 Through the continuous optimization and summary, JKM regard the market trend as orientation and focus on the differentiation and advantage. All staff in JKM believes that only explore the market and make full use of its advantages, can achieve victory in the future market. JKM appreciate and concern the quality, and regard the product quality as the first value. JKM taking all effective measure, constantly consolidate and instill the quality philosophy in production and make great effort to build up the workplace climate for quality first. Staffs in JKM continuously develop and exceed themselves, that's the embodiment of Innovation Philosophy of JKM. We continuously explore and innovate not only for satisfying but also surpass the requirement from customers. Our continuous innovation is not only serving for the customers but also for this industry as well as the society. 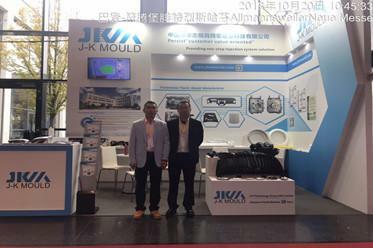 JKM insist on the technical innovation, regard the concept innovation as the opportunity, stimulate vitality with the policy innovation, improve the efficiency with management innovation, increase the benefit with product innovation and promote the sustainable development in JKM. Diligent, Thinking, Self-cultivation and good management Diligent studying, innovative thinking leads to the self-cultivation and good management, and will help JKM constantly developing. All staffs in JKM treat each other with honesty, support each other, build up the working climate of love and gratitude and achieve the common development of individual and JKM. To construct the spiritual home in JKM, we should treat others honestly, trust, support and love our colleagues as family!